A beautiful single red rose arranged in a vase. The perfect gift for your loved ones. Red roses are synonymous for love and this beauty will certainly show you care. Made using the top grade seasonal Rose and glossy foliage. 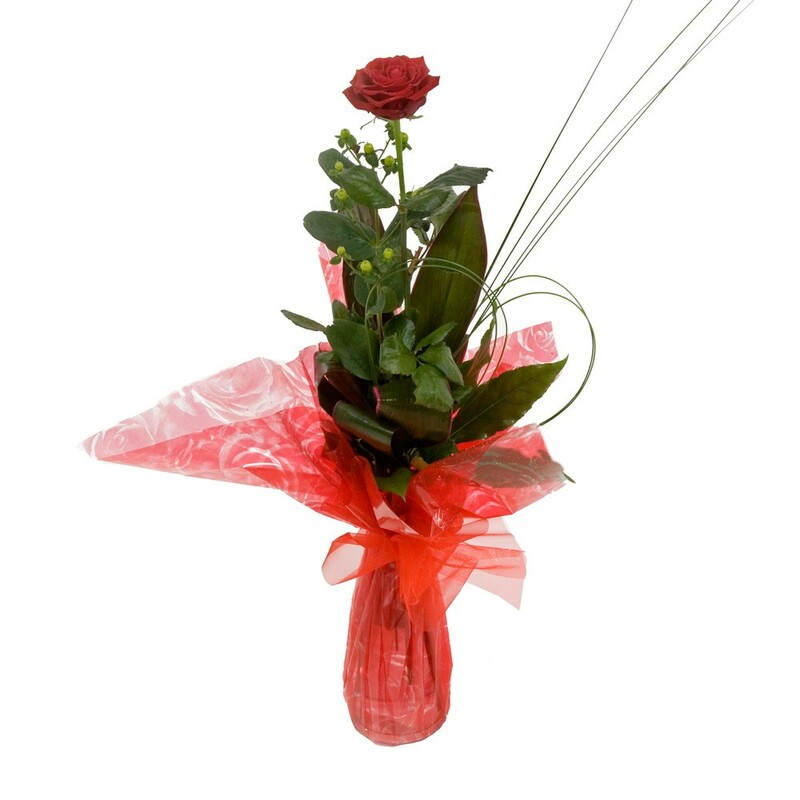 The vase is gift wrapped to showcase the beauty of this long stemmed flower. A card message is added so you can share your words of love to that special person. Want a different colour rose? Just ask, we are always happy to help. Roses come in a variety of colours and we can get every colour available! Even the unique rainbow rose!